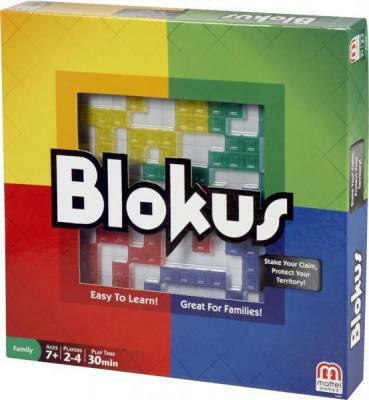 Blokus is a board game that uses transparent coloured pieces placed on to a board, turn by turn. Players must try to use as many of their pieces as possible - except each piece of the same colour can only touch at the corners! Blokus requires strategic thinking and an element of thinking ahead to the next piece. The player who has played the most of their pieces at the end is the winner. Blokus is like Tetris for grown-ups.